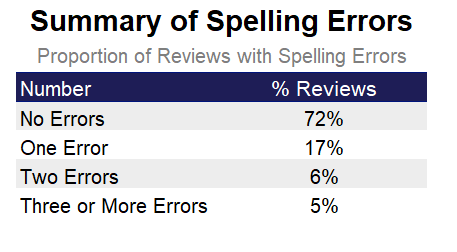 Is there a connection between spelling errors and negative online reviews? 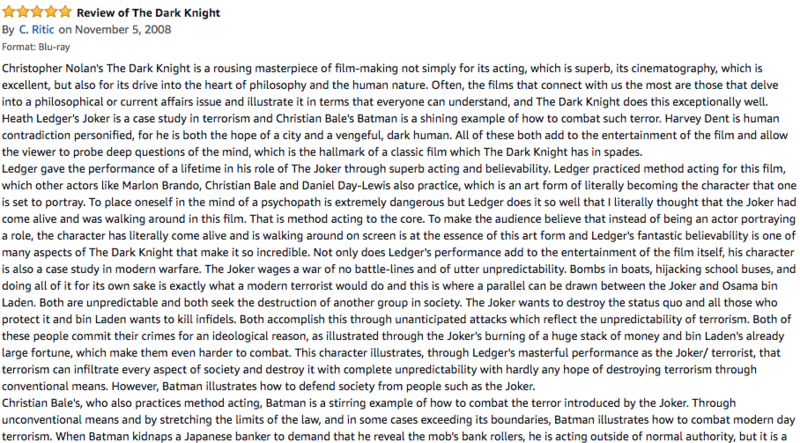 The internet is full of people giving their opinion on things. 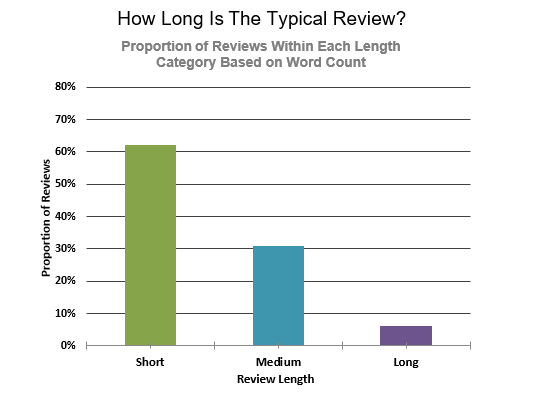 From blogs to forums to social media, the internet is a tool that empowers people to share what they think. 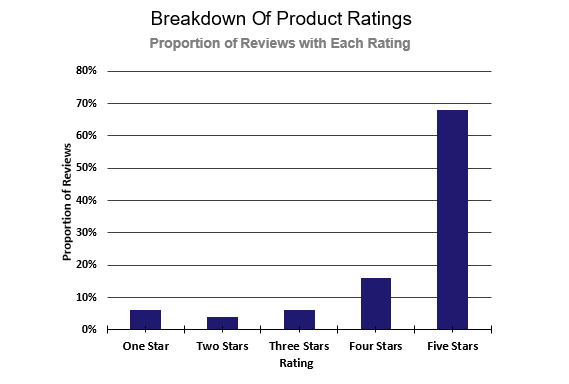 Most of the time, these posts are not particularly useful (and sometimes even harmful), but for e-commerce sites, user reviews have been revolutionary. 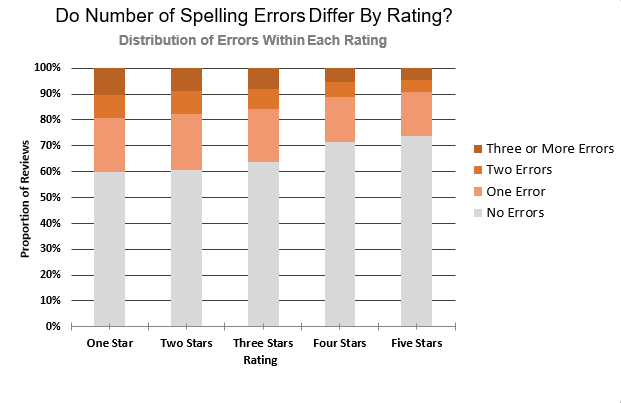 In our table, a higher number indicates that errors are less frequent. 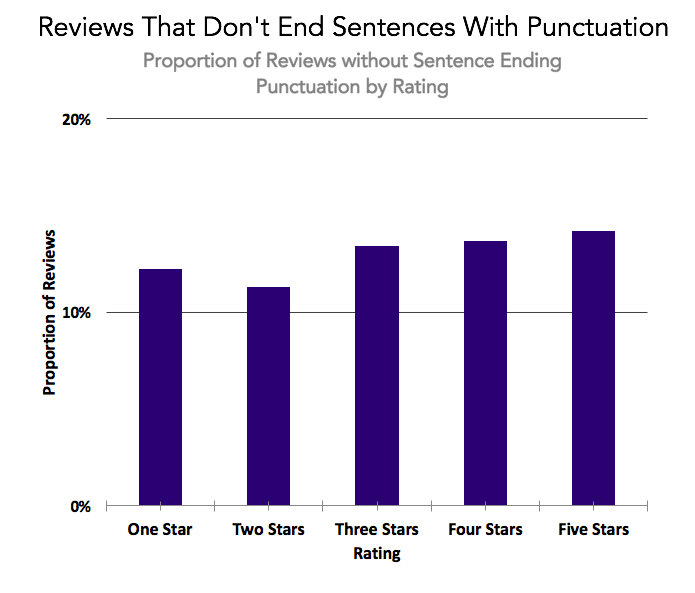 A five-star review experiences one error approximately every 62 words. 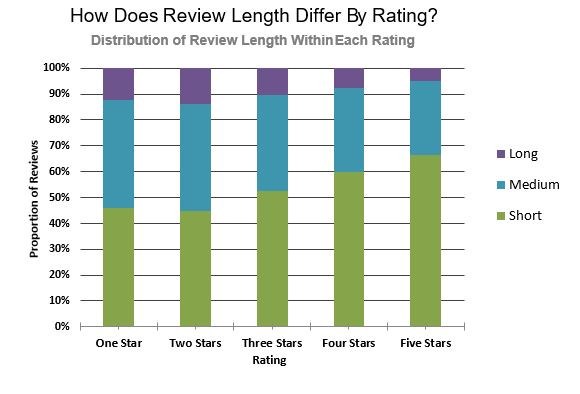 The difference between high and low ratings is much smaller than our previous analysis suggested. 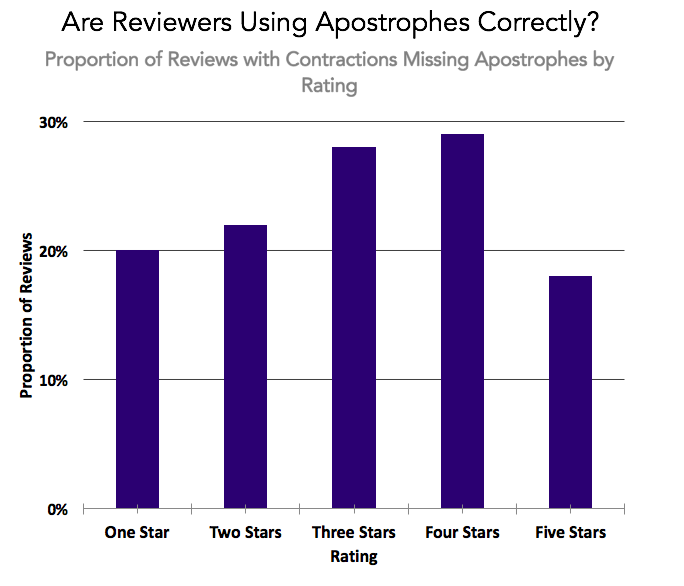 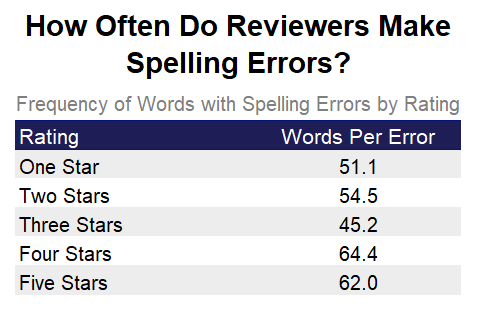 We actually see a slightly different trend here overall; errors occur most frequently in three-star reviews, about once every 45 words.